María Martinón-Torres is a Leakey Foundation grantee from the University College London. 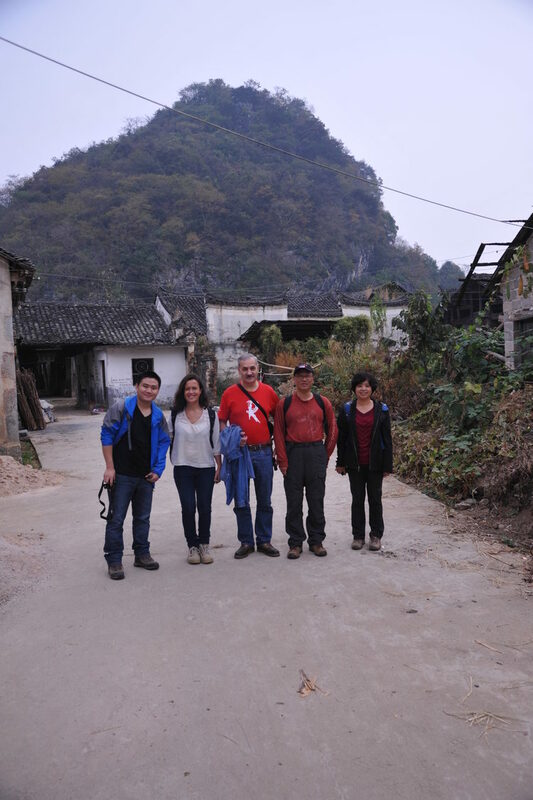 She and her team were recently published in the journal Nature for their work in Southern China. She has been kind enough to provide us with her summary and thoughts on the significance of this find. The discovery of 47 human teeth with unequivocally modern morphologies from a cave in southern China reveals that our species, H. sapiens, was present in Asia much earlier than expected. 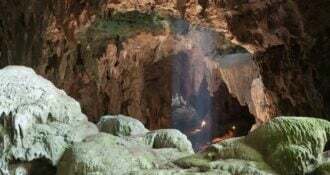 Dated between 80,000 and 120,000 years, the human fossils recovered at the Fuyan Cave (Daoxian) represent the earliest “fully modern” humans outside Africa. Prior to this work, the earliest unambiguous evidence for H. sapiens east of the Arabian Peninsula came from Tianyuan Cave (Northern China), Niah Cave (Borneo) and Lake Mungo (Australia), dated to 40,000-50,000 years. In the Levant, the human fossils from Skhul and Qafzeh, dated to around 80,000-100,000 years, have been defined as “anatomically modern,” meaning that they are in the root of our lineage but still preserve some primitive features that make them different from current modern human groups. In the same line, paleoanthropologist Tim White employed the expression “on verge of the anatomical modernity but not yet fully modern” to refer to the fossils found in Herto (Ethiopia); with 180,000 years, these represent the earliest hominin fossils known for our species. 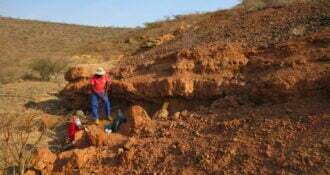 Thus, The Skhul and Qafzeh fossils have been interpreted by some researchers as evidence of a “failed dispersal,” as an Out of Africa attempt that barely managed to reach beyond the borders of the African continent. In this context, the majority of the scientific community agree that the true Out of Africa succeeded only 50,000-60,000 years ago, when modern human populations were finally able to expand throughout the world, reaching Australia and taking over the European empire from Neanderthals. However, a minority of researchers have suggested the possibility that not one, but several Out of Africa events may have occurred. These successive migrations would have started earlier, during the first half of the Late Pleistocene and, probably, the first of them would have followed a southern route, through Arabia, instead of a northern one through the Levantine corridor. Most of the evidence they used to support this scenario was based on archaeological and climatic data. However, to verify this hypothesis conclusively, we were lacking “the corpse.” Fossils between the Levant and South East Asia are very scarce, and the lack of a reliable chrono-stratigraphic contexts and/or clear taxonomic identifications has been putting under quarantine all the hypotheses that needed a modern human in Asia more than 50,000 years ago. One of the most representatives examples of this problem is the Zhiren mandible, also found in Southern China and dated (without unanimous agreement) to more than 100,000 years. According to the researchers that performed the study, the Zhiren sample belongs to H. sapiens, but the preservation of some archaic features has led to different interpretations. Hence, for some researchers Zhiren is the result of the hybridisation of H. sapiens with a primitive population, whereas for other scholars it represents a gracile H. erectus that survived late into the Late Pleistocene. But now the quarantine is broken. Daoxian fossils fulfill all the requirements which other sites did not. 1) Their taxonomical attribution to H. sapiens is unequivocal. Daoxian teeth are fully modern, morphologically closer to late Late Pleistocene or even contemporary populations than to other roughly contemporaneous specimens from Northern China (such as Xiujayao) or other anatomically modern human groups (such as Qafzeh). 2) Their chrono-stratigraphic context is robust. The stratigraphy of the Daoxian cave is clear and simple. There are four well-defined horizontal stratigraphic layers that appear consistently throughout the 300 m2 of excavated area. Fossils are accumulated in layer 2, together with an abundant mammalian assemblage that includes several extinct taxa and which, as a whole, is typical of the first half of the Late Pleistocene. Layer 2 is sealed by a continuous flowstone (layer 1) that prevents the accumulation of younger sediments below, and which the paleomagnetic study confirms is in situ. This is important because it means that everything found below the flowstone – of particular interest the layer 2 where the human and fauna fossils were found – must be older than layer 1. Thus, the U/Th dating of a stalagmite that grew on top of the flowstone – and is hence younger than all the layers below – provides a minimum age of 80,000 years for all the sediments in Layer 2. The type of associated fauna together with the dating of some loose speleothem fragments point to a conservative maximum age estimation of 120,000 years. The discovery of H. sapiens to the “East of Eden” where the mithocondrial Eve was first found opens a fascinating range of hypotheses and scenarios to investigate. 1) If H. sapiens’ origin is African, the Daoxian evidence suggests that H. sapiens left before expected and that there may have been not one but several Out of Africa dispersals. It also means that there are a lot of unresolved questions about the routes of dispersals and the fate/type of interaction that each of these hominin waves went through. 2) While Northern China was settled by more primitive hominins, Southern China was witnessing the arrival and/or evolution of more derived humans. This means that when H. sapiens enters the Asian scene the continent was still inhabited by a different hominin. 3) The find also poses questions about who are the immediate ancestors of current populations. Although the fossil evidence keeps pointing to Africa as the birthplace of anatomically modern humans, we still have to investigate the fate of each of these dispersals. 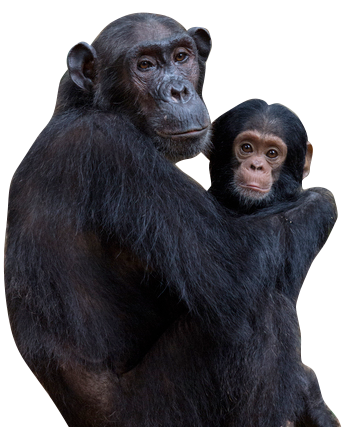 Can be that some current H. sapiens populations are descendants of these early immigrants? Or are we basically descendants of a later exodus through the Levantine corridor? Can be both hypotheses complementary? The genetic evidence has been typically the strongest argument to defend a recent African origin for all H. sapiens. However, as suggested by Groucutt and his team (Evolutionary Anthropology 24, 2015) it seems that there are at least two scenarios where the genetic evidence is theoretically compatible with an early out of Africa – and even a back-into-Africa – dispersal, through extensive gene flow between African and non-African H. sapiens. 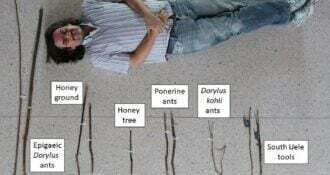 These hypotheses, although attractive, pose complex phylogeographic scenarios that are less parsimonious and straightforward to match with available genetic evidence. Still, molecular evidence itself has been changing our evolutionary perspective leading us to consider scenarios, such as the hybridization of H. sapiens and Neanderthals, that were sort of “unthinkable” some years ago, mostly for the geneticists themselves. Hence, it may be the time to think ahead and be creative, time to leave the “comfort zone” and explore alternatives that may be wrong… or may be right. I welcome brave thinking as it is the only way to discover something new. 4) H. sapiens took twice the time to enter Europe that it took to enter Asia. The fascinating coincidence between the arrival of H. sapiens to Europe and the Neanderthal disappearance has been commonly interpreted as evidence of the superiority of modern humans, as their presence would have led to H. neanderthalensis extinction. However, the story may have a radically different reading. If modern humans were already at the gates of Europe about 100,000 years ago, why were they not able to enter until 45,000 years ago? Maybe H. sapiens did not enter because they were not capable of doing so while Neanderthals were there. Was Europe to small for the two of them? For almost half of a million years, H. neanderthalensis had dominated the land of seasons, of changing skies and long winters making of it an impenetrable kingdom for a tropical human. This Neanderthal advantage, however, was also their own executioner. Neanderthal’s story is the chronicle of a death foretold. The merciless and cyclic punishment of the glacial ice ended up decimating a population that was genetically exhausted due to isolation and endless winters. Neanderthals were no longer who they used to be, and only now, H. sapiens saw his opportunity. This is only the beginning. I excitedly foresee a scientifically prosperous and creative period when the story of human evolution in Asia will end up intertwining with the mainstream and, in more than one occasion, will pull the centre. Para una versión en español, visita por favor el enlace en la página web del Museo de la Evolución Humana. Wu Liu, María Martinón-Torres, Yan-jun Cai, Song Xing, Hao-wen Tong, Shu-wen Pei, Mark Jan Sier, Xiao-hong Wu, R. Lawrence Edwards, Hai Cheng, Yi-yuan Li, Xiong-xin Yang, José María Bermúdez de Castro & Xiu-jie Wu (2015). The earliest unequivocally modern human in South China. Nature.